The whole Aria series is a slice of life genre anime with some comedy, a bit of a drama, a very little of romance and close to zero plot development. If the genre alone isn't enough reason for you to stay away from this series, you should also consider that it goes for as long as 54 episodes (including the Special and the OVA). As for me, I became interested in the Aria series only due to the third season's (Aria the Origination) outstanding ratings. Of course, the first thing that came to my mind was "oh, it's probably because only the most stoic fans kept on watching that till the third season it has that good average score". But a simple research on the season's popularity showed that it's not the case. And so, one evening I caught the right mood and start watching the series. The setting is distinct and appealing. The early 24th century, Mars, now known as Aqua, was colonized and terraformed into a blue planet, more than 90% of its surface is covered in oceans. Advanced technologies grant humanity control over Aqua's gravity (it's maintained to match those of Earth, so there is no 0.38 g stuff) and climate, however those facilities are hidden underground and on the floating island respectively. The city of Neo-Venezia on Aqua, where the story takes place, is a cultural and architectural heir of Earth's Venice. In this city of many channels and waterways, gondolas are the primary mean of transportation for people, goods and even mail delivery (there are also air bikes, but they are far less common). Food and most of the goods in Neo-Venezia are produced by manual labor. The only things that constantly remind it's the 24th century and not the 20th is the Ukijima island, which floats in the skies above the city and spaceships with tourists from the Earth (now known as Manhome) which arrive and depart every day. An undine - a female gondolier acting as a tour guide - is an elite profession many girls dream about, but only a few are capable to become one due to the tight competition. The main character is an apprentice undine called Mizunashi Akari, who is employed by the tiny Aria Company along with her senior and close friend Alicia Florence, the current top undine in the whole industry. Akari is cheerful and optimistic to the extreme. This defines the show's whole mood and atmosphere, since most of the show centers on Akari. 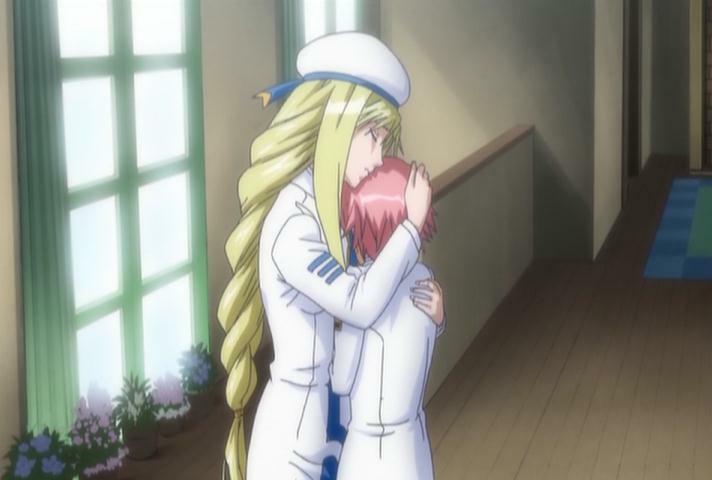 Akari exchanges letters with Ai, a girl from Manhome, who initially didn't like Neo-Venezia, but changed her opinion of the city and Aqua thanks to Akari. 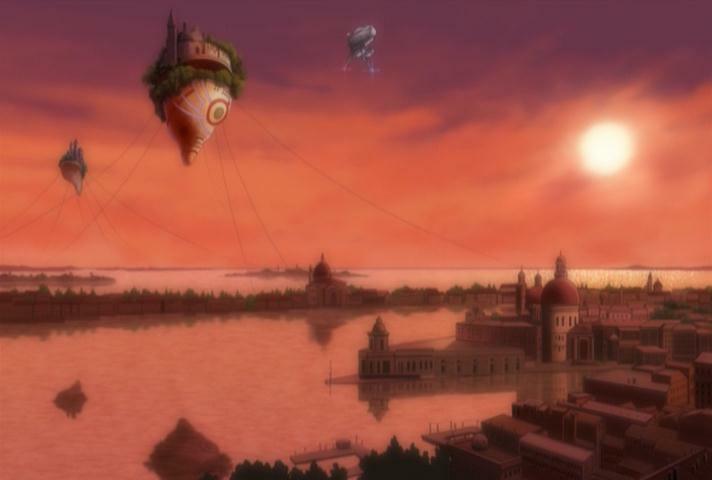 This letters are cited in the beginning and in the end of each episode, and with every story Akari tells, Ai's affection towards Neo-Venezia grows, what is supposed to reflect the feelings of the viewer as well. 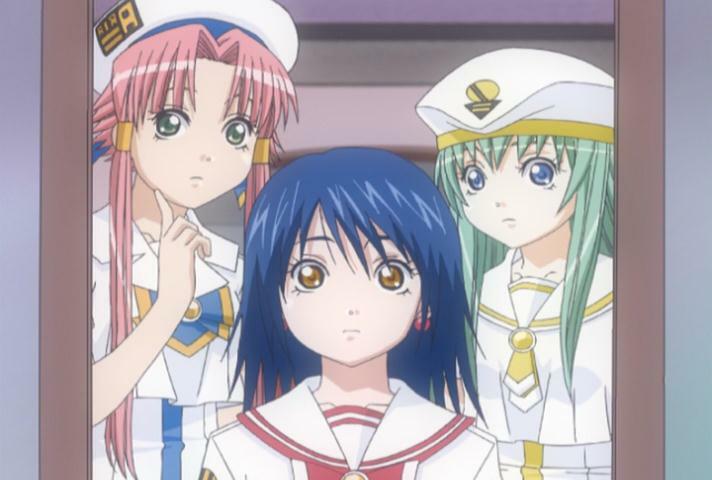 Every episode depicts a different story from Akari's everyday life, what usually includes combined training with her friend Aika S. Granzchesta, who is the heir of Himeya, the oldest and the second largest gondolier company in Neo-Venezia and Alice Carroll, a one year younger prodigy from the third and the final gondolier company Orange Planet, which is currently the most successful. During their training, the girls together with the viewer learn more about the city of Neo-Venezia, its history, traditions, secrets and people. The other theme is girls' relationship with their seniors, "Snow White" Alicia Florence, "Crimson Rose" Akira E. Ferrari and "Siren" Athena Glory, known as "Three Water Fairies". Standing at the top and being the role models, as well as objects of jealousy for everyone, they struggle to be a good mentors for their juniors, despite constantly being over-occupied with customers. And that's it. The setting, well-written characters, light mood, beautiful graphics and music - that's all this show has. But, believe me, that's more than enough. Look at how the snow on the back side of the stair is depicted, what attention to the details! A few words about the graphics and music. Despite having pretty low resolution , this show looks awesome even in the year 2013. Attention to the details is astonishing. The director Junichi Sato made a trip to Venice with his team prior to filming this show. That allowed him to include many architectural details in the anime, which were absent in the original manga. Depiction of rowing a gondola is also realistic and everything looks great in motion. The choice of colors is vise, a perfect balance between brightness and realism. The music is exclusively acoustic. The quality of the recording is very impressive, when I was watching this anime with my hi-end rig handling the audio part, it seemed that musicians were present in my room. All the instruments sound very natural and "alive" with no synthetics at all. As for the music itself, it just perfectly fits with the show. Most of the themes have light mood (as the show itself), though there are some heartwarming and nostalgic ones like "Mirai he no Kouseki" from the third season's OST. As for why does the third season have the best ratings, the answer is simple: because it concludes the story. While I can only see the Aria series as a whole, every season ends on some logical point and there are some "specialization" between seasons. Aria the Animation introduces the characters and the setting, then shows a bit of everything. 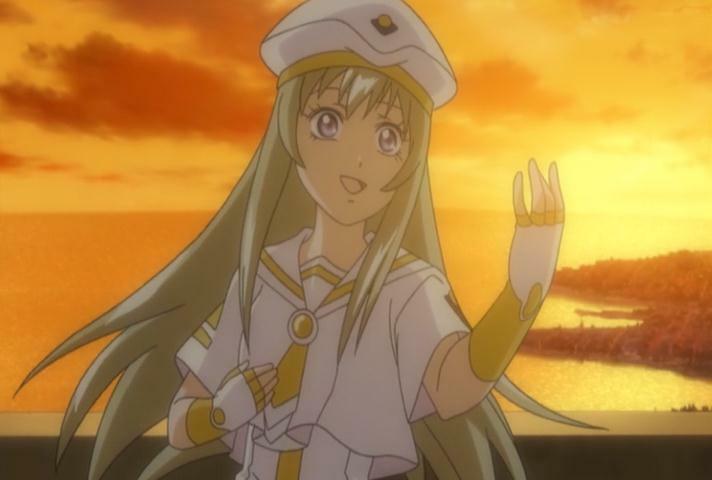 Aria the Natural is the main body of the series and shows Akari's life on her third year on Aqua (note that years on Aqua are twice as long than years on Earth due to the planet orbit). Aria the Origination is more about coming of age and shows the most character and story development of the whole series. When I finished watching the Animation, I was pretty satisfied with the show, but I thought that it ended just at the right moment after those 13 episodes. I had huge doubts that I would appreciate watching the 26 episodes of the same thing in the Natural. Yet, somehow it went pretty smoothly. After the Natural I had no doubts at all that I would appreciate the Origination and that parting with favorite characters would be sad. 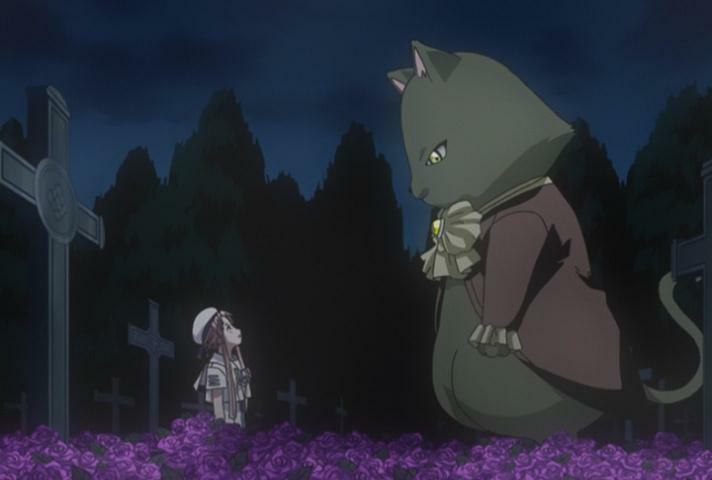 OVA: the Arietta is just like another episode of the Natural, or rather like on of the best episodes. I never thought about "who is my favorite character" while watching the show, but that somehow became obvious without even thinking in the Origination. The favorite character is our little kouhai-chan Alice Carroll. Being the youngest of the three, she always acted as a proper kouhai of Aika and Akari, thus staying in their shadow in some sense, despite rivaling them in skill. She is also the most quite and detached of the three. I always sympathized with her the most and Alice-centered scenes were usually the most remarkable, but Aika and Akari just had much more of them and stayed in the focus of attention for the most time. I was surprised and very glad when Alice suddenly became Prima ahead of Aika and Akari. And then there was episode 11 of the Origination, which is my favorite episode of the entire series by the landslide. Seeing how cute Alice was when suffering from loneliness and thinking of her friends I understood, that I would never care so much about Aika and Akari. I should also note, that Alice is the only one of the three, whom I liked more than her senior. Akari and Alicia are always on the same wavelength sharing their ability to enjoy everything. But Akari is a bit extreme in that, while she lacks Alicia's gracefulness. Aika and Akira are also quite similar with their tsunderish personality, but Akira is strong and Aika is a crybaby. I also think that while Akira's personality perfectly fits her background, Aika just copied her, since she always seek to impersonate someone's else. I would say that the only thing I actually liked about Aika is her sincerity and deep sense of gratitude towards Akira. Athena is a bit moe with her clumsiness, but I liked her for her concern about Alice. The mystical subplot (regarding Cat Sith) introduced in the Natural is useless and poor made. The only purpose I can see for it is "Oh, look - Akari is so embarrassing, that even the supernaturals beings have a thing for her". I can see Akari's character really well even without it you now. The other thing that comes to my mind is that Cat Sith was probably introduced to make the city of Neo-Venezia look more wonderful and mysterious. For me it works in the reverse. It looks like there wasn't any "normal" wonders in Neo-Venezia anymore to show, so the authors were forced to introduce mysticism. The existence of Cat Sith also lefts it dubious what cats on Aqua exactly are. 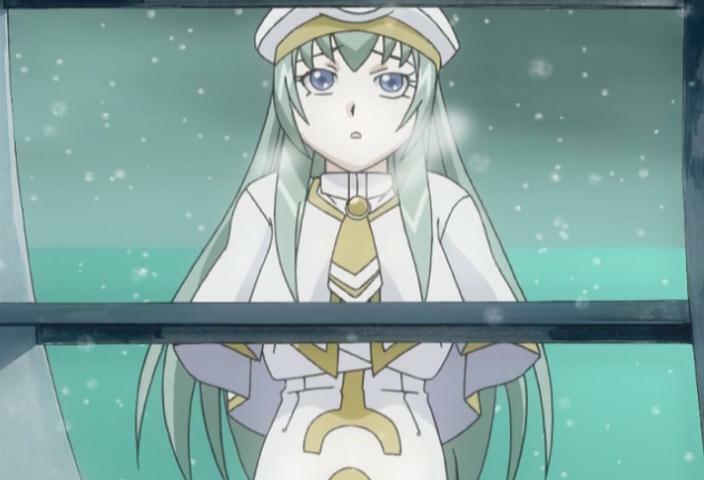 Personally, I prefer think of Aria Pokoteng's kind as artificially bred species, whose intelligence are close to those of humans thanks to the genetic engineering. The romance in the series is dull. Aika's part are OK, but as for the boys, both Al-kun and Akatsuki-kun could serve only as some sort of comedic relief. I believe that the author just can't into romance. Then again, I read somewhere that Alicia's sudden marriage in the end of the show was introduced only because Amano Kozue couldn't think of any better plot-device to switch Akatsuki-kun from Alicia to Akari. Why did he need to be switched at all is a different question. Given all this, please consider what is written below complete nonsense. I never found myself using yuri goggles. But after I finish watching the Origination, I had only one interpretation of the ending at mind. I strongly believe that Alicia was in love with Akari all the time. And then, she decided not to tempt herself anymore out of concern for Akari as their relationship could damage Akari's future. As to why do I think so, I must admit that it came to me naturally after seeing the last episode. First, nobody knew a thing about Alicia's marriage beforehand, it came out of the nowhere. But it was made clear, that Alicia herself planned her marriage some time beforehand. That means that she was either dating someone in secrecy or just had a proper candidate in mind. But it's also clear that Alicia had only a very little of time to spend with her future husband. She was occupied with work and she spent the rest of her time with Akari. And then, she made a confession that she intentionally postponed the time of Akari's Prima examination as much as possible, to prolong her precious time with Akari. But that also means, that she postponed her own marriage as well to spend more time with Akari! That basically means that she valued her time with Akari more than her time with her future husband. The fact, that her husband was never shown also somehow underlines his insignificance. That "no matter who" approach makes me feel like the reason for Alicia's marriage lies somewhere else from her feelings for that person. But than again, we know as fact that it can't be an appointed marriage, since nobody knew about it beforehand. And one more thing. If the plot needed Alicia's retirement from the Aria Company, her leaving for the Gondola Association alone was the enough reason. The marriage was unnecessary. If the author wanted to underline that Alicia found her happiness in marriage, than the marriage itself would had been given more attention (at least the husband would had been shown). The only necessary for the plot reason for her marriage I can think about is that she needed to part with someone, but that definitely was not the Akatsuki-kun. It must be someone who was the closest to her. And that could only be Akari.